Police seized heroin, PCP and crack cocaine from a Suitland apartment last week with a street value of more than $60,000. The search warrant was executed in the 2300 block of Brooks Drive last Friday. 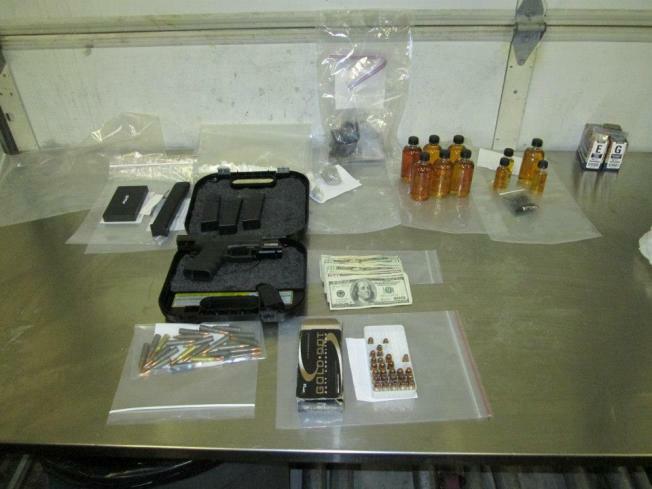 Prince George's County Police recovered 37 fluid ounces of suspected PCP, with an estimated street value of $60,000. Officers also seized 23 grams of suspected cocaine and heroin, along with a gun, ammunition and cash. The total estimated street value of all of the drugs seized is $66,000, according to police. Antonio McCallister, 40, is facing a slew of drug charges.